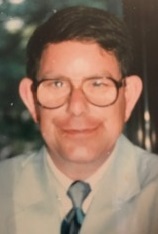 Obituary for Keith Helsmoortel | Seamon-Wilsey Funeral Home, Inc.
SAUGERTIES….Keith P. Helsmoortel, 68, of Market St. and formerly of Washington Ave. died Tuesday, January 15, 2019 at the Kingston Hospital. Born June 17, 1950 in Kingston he was the son of the late Roy and Alma Helsmoortel. A lifetime area resident he was employed for over 30 years at the Saugerties Central Schools consolidated. Active as a first responder, Keith was a member of the Saugerties Fire Dept., the RA Snyder Hose Co., the Saugerties Exempts Fireman’s Association, the Ulster County Volunteer Fireman’s Assoc. and the Hudson Valley Fireman’s Assoc. He was the official photographer of the Saugerties Fire Dept. for several years recording photographs of the Fire Department at fire scenes. He enjoyed attending the Annual NYS Fireman’s Convention in Lake George, NY. An owner of a 1955 Chevy, Keith enjoyed entering and attending car shows specifically the Sawyer Motors Car Show. He would also attend area concerts wherever “Oldies” were being performed. Survivors include his brother, Greg (Thomasine) Helsmoortel, his nephews, Christopher (Ana), Scott Helsmoortel and Ryan Simmons, niece, Jessica Simmons his cousins, David Krom and Gail Hayes and his grand niece and nephew, Penelope Helsmoortel and Billy Williams. His Funeral Service will be held 2:00 PM Saturday at the Seamon-Wilsey Funeral Home, Inc. Cor. of John & Lafayette Sts. Saugerties Firematic Services will be conducted at 1:45 PM. Friends will be received Saturday from 11:00 AM – 1:45 PM. Expressions of condolence may be shared with the family @SeamonWilseyFuneralHome.